The first Christmas Gift and Craft Show was held Thanksgiving weekend in 1980 at the Indoor Tennis Courts 445 South Main,Spanish Fork, Utah Fairgrounds. Over the years this event has become a tradition for thousands of shoppers and over 165 exhibitors on Thanksgiving weekend at the same location. The mission of the Christmas Gift and Craft Show is to bring exhibitors and shoppers together for a fun and successful holiday shopping event. Preparing for a show of this size is a lot of work. But it is all worth it when the exhibitors arrive on Wednesday before Thanksgiving to begin setting up. It is amazing to watch as the building comes alive with a variety of holiday and gift items. One of the unique aspects of our show is the fact that it is not just the women who enjoy coming to the show. We see a lot of shoppers who come to the show as a family, including dad and the children. Each year the show has a variety of products that appeal to the entire family. 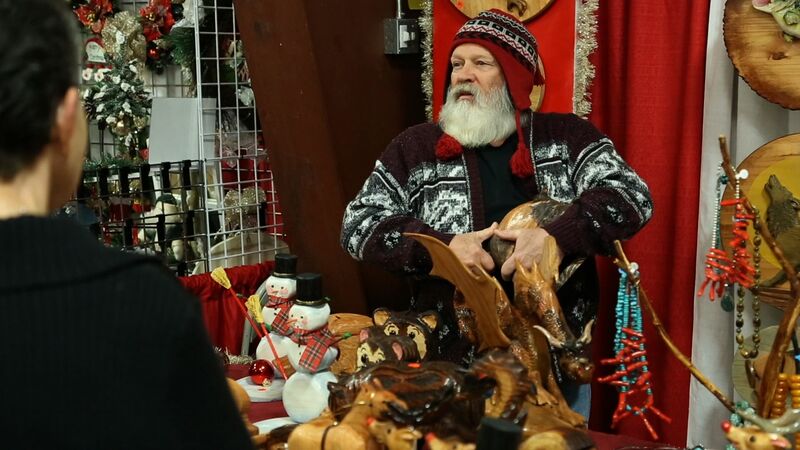 Another advantage of shopping at the show is that in many cases the shopper is able to speak with the artisan who not only created the idea for the holiday item, but manufactured it as well. In this age of mass production, it is refreshing to bring this kind of gift or decoration into your home. Many shoppers in Utah County begin their holiday shopping at the show. This really shouldn't be a surprise, each year the show is filled with great gifts and holiday decorating items. But it's not just shoppers from Utah County who come, we have people from Salt Lake County who come every year as well. For many people, shopping at the show is as much a part of the holidays as their Thanksgiving dinner the day before. Whether you come to the show every year or are planning to come for the first time this year, we look forward to seeing you at the show, remember admission is free.